Lakeside leisure living, a reality in Batangas - Sta. Lucia Land Inc.
Sta. Lucia Land Inc. is poised to continue its development expansion in Southern Luzon as it starts the first phase of development for Catalina Lake Residences, a pioneering lakeside community in Batangas that will offer a collection of contemporary and Spanish-Mediterranean residences and archetypal lake houses. Catalina Lake Residences is located right in the heart of Bauan, Batangas and is just a few hours’ drive from Makati via South Luzon Expressway and the Calabarzon Expressway. It is near the Bauan International Port as well as major establishments necessary for daily needs such as the Bauan General Hospital, Plaza Recto, Citimart, Bauan Public Market and the Bauan Technology High School. Catalina Lake Residences is Sta. 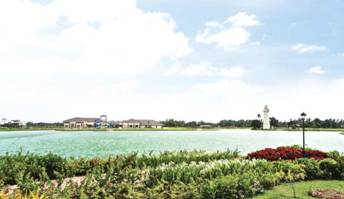 Lucia Land’s second major development in Batangas after Bauan Grand Villa which opened in 2008.